The Velvet Touch Lipstick Matt's creamy texture ensures easy application and delivers a long lasting matt intense colour. The Velvet Touch Lipstick Matt moisturises and soothes lips, keeping them soft & giving long lasting results that last for hours. Kiss Me Matt Lips is a matrix of velveteen sensation and pure satin colour envelopes the lips for luxurious comfort and glam. Kiss Me Matt Lips latest lip colour cream glides on with a melting touch, releasing a thin satin film that is both buttery soft and light as air. The Ultimate Lipliner with a Twist, ensures an easy outline application & delivers a long lasting result, lasts up to 6 hours with an intense, and pure matt colour pay-off. The soft and creamy texture is perfect for outlining of filling in lips, & the liner defines the lips with an instant release of rich, saturated colour. 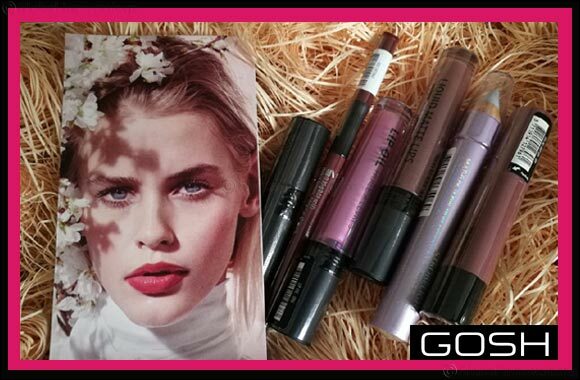 Liquid Matte Lips ensures an easy application &delivers long lasting results with an intense, pure matt, colour pay-off. The active ingredients in Liquid Matte Lips increase the volume of the lips. Lip Oil is neither a gloss nor a balm. It provides that perfect glossy look, a hint of colour, and much more hydration than a lip balm. It is a nourishing lip product infused with a blend of nourishing & reparing oils. The combination of oils and vitamins work as a conditioner for the lips & relieves dryness & chapped lips. These waterproof multi-dimensional pencil highlighters give the skin an exquisite, dewy glow. The prismatic trio with micro light diffusing pigments lends a luminous complexion, brightens shadows and illuminates the skin. Use over makeup or alone as a highlighter. Can be used on eyes, lips, face or as body tattoo's.